3D ICC was founded in May of 2011 and quickly became the leading market provider of OpenQwaq technology. In 2012, 3D ICC purchased all of the Intellectual Property formerly owned by Teleplace™ (Qwaq™) Technologies. With this purchase, 3D ICC moved to selling our commercial product line, Terf®. Since then, 3D ICC has enhanced the Terf® platform far beyond the OpenQwaq™ and original Teleplace™ technology in critical areas. 3D ICC’s Immersive Terf or Terf® is the absolute state of the art in unified collaboration services sporting all the features combine from most collaboration products with gaming and 3D environments. Terf® may be a new name but the platform via its predecessor releases, Teleplace™, Qwaq™, OpenQwaq™, Terf® has a rich history of has been harnessed for over 8 years. Terf® has been used by some of the biggest organizations in the world to gain more results from distributed coaching & teaming, global training and ideation, and strategic initiatives. 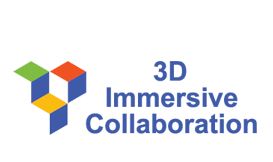 3D ICC was founded by the original creators of the Qwaq™, Teleplace™ and OpenQwaq™ technology. The deep expertise in collaboration, immersion, security and other advanced technology. The Terf® platform heritage that our founding partners provide to the firm is without exception the main reason the platform is excelling in customer satisfaction and market growth. Ron Teitelbaum is an immersive collaboration expert and master software developer. Ron worked with Qwaq/Teleplace from the inception of our software as a private company. Ron is the Cryptography Team Leader for Squeak OpenSource Software. Prior to Teleplace, Ron worked for more than 15 years in healthcare software development and as an entrepreneur. Ron was the Principal Software Engineer for HealthObjects / Genesis Health Ventures / NeighborCare, one of the 20 largest health care companies, designing and coding institutional pharmacy applications, including automated drug selection from doctors orders, automated filling machine instructions, medical records, workflow, and NCPDP billing. Before that, Ron worked at Tokos Medical (now Matria Healthcare) as the principal software engineer writing perinatal risk assessment, case management, and patient education software. Ron was also responsible for the development of the home monitoring devices for pregnant women, and communications software to report contractions. He is the President and Founder of US Medical Record Specialists, www.usmedrec.com, developers of patented peer to peer global scale medical record database technology. David is paramount to a legend in immersive gaming and collaboration. He is the creator of The Colony, (published by Mindscape in 1988) considered the first online 1st person shooter, preceding Doom by 5 years and clearly the inspiration for Doom. David is a serial entrepreneur founding Virtus Corporation, Red Storm Entertainment, Timeline Computer Entertainment, NxView, AirEight/3DSolve, Neomar, Qwaq, Teleplace, and now 3D ICC. David’s Virtus Walkthrough was named MacUser’s”breakthrough product of the year.” He is the original creator of OpenSpace & Co-creator of Croquet, Qwaq, Teleplace, OpenQwaq, and 3D ICC’s Terf®. David has worked gaming and immersive movie filming with Tom Clancy, Michael Crichton, and James Cameron. Dr. Raab was a 3D immersive market pioneer. He had more than 20 years of advanced and extreme software development. Dr. Raab did his PhD work in Computer Graphics & Interactive Systems, where he began his work with David. Andreas is a serial entrepreneur and the co-creator/chief Architect/ Sr. SW engineer on numerous market innovations including Qwaq, Teleplace, OpenQwaq. Andreas was the creator of the SmallTalkVM for mobile and the first squeak port of the VM for windows. He created the SmallTalkAPI for Accessibility and many other firsts. During his work for Disney as a software engineer, Dr. Raab created a real-time graphics capability for Squeak, as real-time vector graphics capability via flash, real-time 3D graphics tools, as well as advanced 3D modeling & the “eToy” (kids scripting environment).